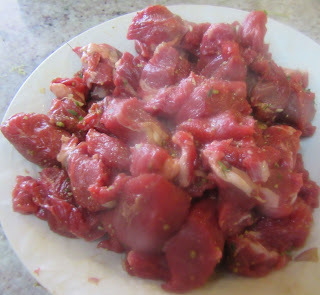 Dice the meat and roll it in the herbs and spices. Paint it with olive oil. Put this on skrewers. Heat olive oil in a pot and fry the kebabs until the meat is done. Serve immediately.